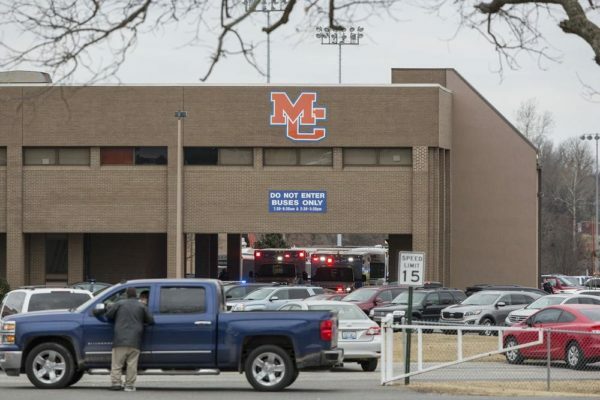 A student of Marshall County High School, Kentucky, opened fire Tuesday morning, killing 2 of his classmates and wounding 18 others, CNN reports. The 15-year-old student was arrested after killing Bailey Holt and Preston Cope, both 15 years old. The state’s governor Matt Bevin has said the shooter will be tried as an adult, and charged with murder and attempted murder. His name, however, won’t be released to the public until he’s been convicted. Assume he is a Muslim,the media will not hesitate to announce his name. White hypocrisy has always been there but now it’s blatant. I’m glad it’s out in the open to see that it’s not dead at all. Just pretense and cover up. Well he’s not Muslim and not black I guess. Otherwise his picture and name would have been blazin’ on every news outlet.